I think it’s safe to say that it is every food bloggers dream that they are noticed by companies from the food industry that are selling products that he or she supports or can stand behind and that go together with their visions and relationship with food. 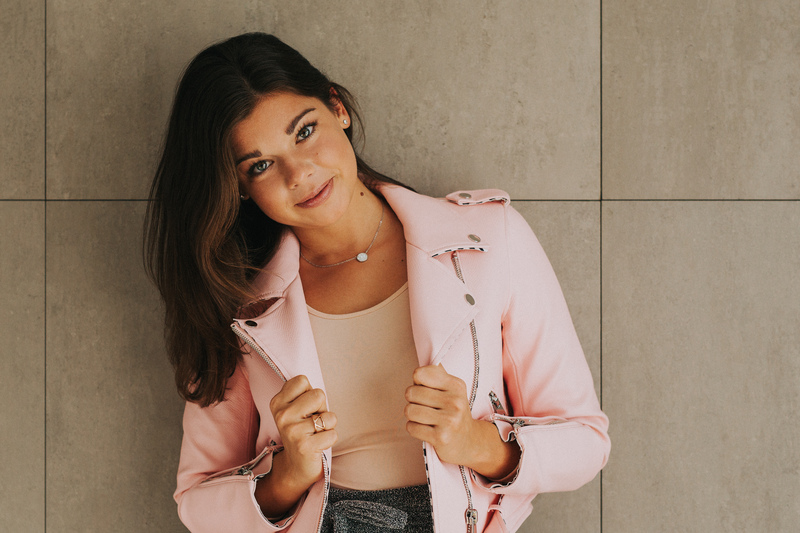 Of course, I would be lying if I were to say that one of the reasons was not the fact that everyone enjoys a delicious gift, but to me personally, what’s even more important is that this is a recognition that your blog is being noticed, that people appreciate what you are doing and most importantly that they like it. I would like to consider myself as a healthy food blogger (please don’t hold my cookie baking marathon against me) was therefore very lucky and happy to be delivered an amazing box of fruits and super food from Gajbica.si yesterday. They wished me happy smoothie making, so I made a delicious smoothie for my family this morning (more on this smoothie in another post), but since I really have a sweet tooth, I decided to make a dessert as well. A healthy one of course! I always loved the combination of chocolate and orange, so I really wanted to work in this direction. Luckily, my fruit box was full of oranges and also some bananas, which is why I immediately decided to make a raw chocolate mousse with oranges. A few minutes later, my raw healthy chocolate mousse was done and today I created this lovely little bites with it. What I really like about this particular raw dessert is that it’s very light, which is something we can’t really say about most raw desserts. Compared to other raw desserts, this one has a really low content of nuts and also no other sweeteners but banana. It only requires four ingredients which makes it a really simple to make dessert but it is also very likely that you have all the ingredients at home most of the time. If you don’t have any raw cacao at hand, baking cocoa will do just fine (which will, however, cause the dessert no longer qualifying as raw), and you can make your own almond butter very easily by grinding almonds until they start releasing fat and form a delicious and smooth butter. This dessert is reach and creamy, just sweet enough and so chocolaty! You would never believe it’s so healthy, simple and quick to make! Cut the bananas and place them in a food processor together with the raw cacao and almond butter. I suggest adding the cacao first to prevent it from flying around your food processor when you start it. Mix until well combined and smooth, then add zest of one orange. Place in the fridge and let set and harden a little. Meanwhile segment both oranges - cut of the top and bottom, then cut all the skin and the white parts away. Cut carefully along the membranes to create segments. 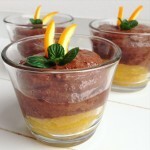 Just before serving, place a few segments of orange in small cups and top with chocolate mousse.